Helvete by Finn Olav Olsen - 10.000" x 6.625"
Helvete framed print by Finn Olav Olsen. Bring your print to life with hundreds of different frame and mat combinations. Our framed prints are assembled, packaged, and shipped by our expert framing staff and delivered "ready to hang" with pre-attached hanging wire, mounting hooks, and nails. There are no comments for Helvete. Click here to post the first comment. 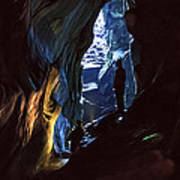 This is the cave "Helvete" which in Norwegian means hell. 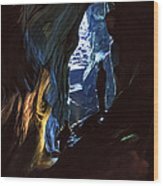 The cave has a number of 3600 years old cave paintings and some believe this was the cave on the island Trinachia which Odysseus had to go to to get forgiveness for having destroyed the sun god temple in Troy. The name of the island in Norwegian is Trenyken. My name is Finn Olav Olsen. Friends call me Finni. I live on a small island on the Norwegian cost called R�st. Photography, that I presents here on this web site is only one of the many things I do. I also do things like fire dance, juggling, drawing, unicycling, painting, sculpting, constructing and designing. Though I am mostly earning my living from accommodation and running a sightseeing boat. My main interest is everything I don't completely understand or know. I hope you will find my works interesting enough to put on the wall and please leave comments.